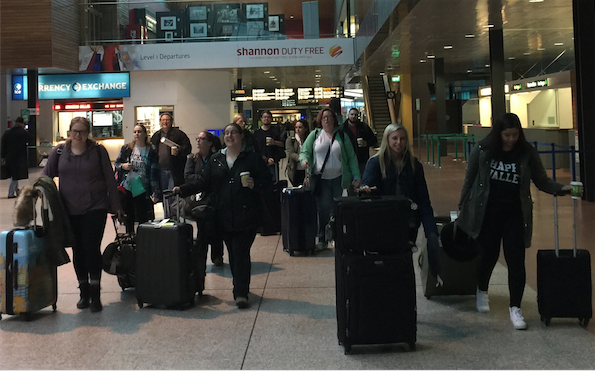 ​We arrived in Ireland early on Sunday morning (6:30 am---but 1:30 am in New York) at the Shannon Airport, Ireland’s first transatlantic international airport. First stop after customs: coffee---and lots of it. We then met our tour bus driver, Brian, who welcomed us to the Emerald Isle and gave us a brief introduction to the area as we made our way to Dr. Ronni Greenwood’s house for brunch (our host at the University of Limerick). After a few miscalculations, we finally arrived at Ronni’s house and were welcomed with a lavish breakfast spread complete with fresh made scones, assorted fruit and a lot of other things including MORE coffee! After spending the good part of the morning at Ronni's, Brian took us to a walking trail in The Burren, the smallest national park in Ireland (there are only six). According to the park’s website, “Burren” comes from the Irish word “Boireann,” which means “rocky place.” You don’t have to spend more than a few minutes on the trails there to realize that’s an understatement. The trails were actually limestone pavements surrounded by rocky fields and fence structures that are the result of ice cover from over a million years ago. You can see why Ireland wanted to preserve it as a national park. ​From “The Burren” we travelled to the Cliffs of Moher, passing both old and modern thatched huts along the way. We arrived at the Visitor Center for the Cliffs just in time for what appeared to be a temporary monsoon in the form of freezing rain pellets. Many of us attempted the walk out to the cliffs despite the penetrating wind and rain; it was well worth the view. The cliffs rise to 702 feet at the highest point and extend over a range of 5 miles along the Atlantic Ocean. They take their name from a ruined promontory fort “Mothar” which was demolished during the Napeoleonic wars to make room for a signal tower at Hag’s Head. 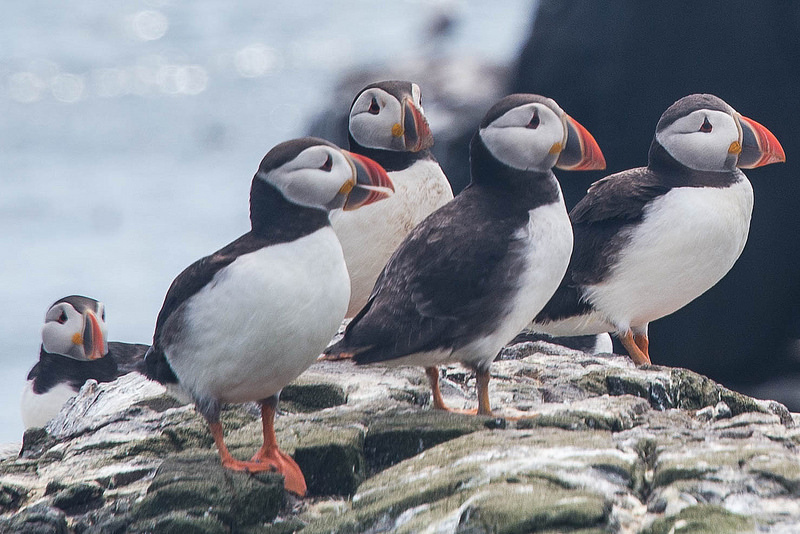 They are also home to Puffins, those crazy-looking birds that have the features of a miniature penguin crossed with a parrot. Unfortunately, we did not see any Puffins today, as no bird in his right mind would be out in that weather. The Visitor’s Center has a neat interactive exhibition about the cliffs as well as a very artistic five-minute film about that offers a birds eye view of the cliffs and a fish eye view of the water surrounding them. ​​Afterwards, we headed into a little town close by for some lunch and then drove the hour to the Kilmurry Lodge Hotel where we will be staying for the next two nights. We arrived to find a local bodybuilding competition in the hotel which was just an added bonus to the day! It’s lights out early tonight because we have a busy day at the University of Limerick tomorrow. ​We were given a breakfast feast in the morning at the hotel, which was a great start to the day. Around 9 am we walked over to the University of Limerick---about 20 minutes from the hotel. The “UL” (as it is called) is an “internationally focused” university with just over 11,000 students. Established in 1972 as the National Institute for Higher Education, it became the UL in 1989. 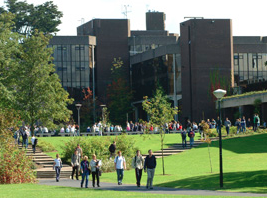 It is a gorgeous campus set along the River Shannon on just over 100 acres and offers “programmes” in Arts, Humanities and Social Sciences, Business, Education and Health Sciences, Science and Engineering. 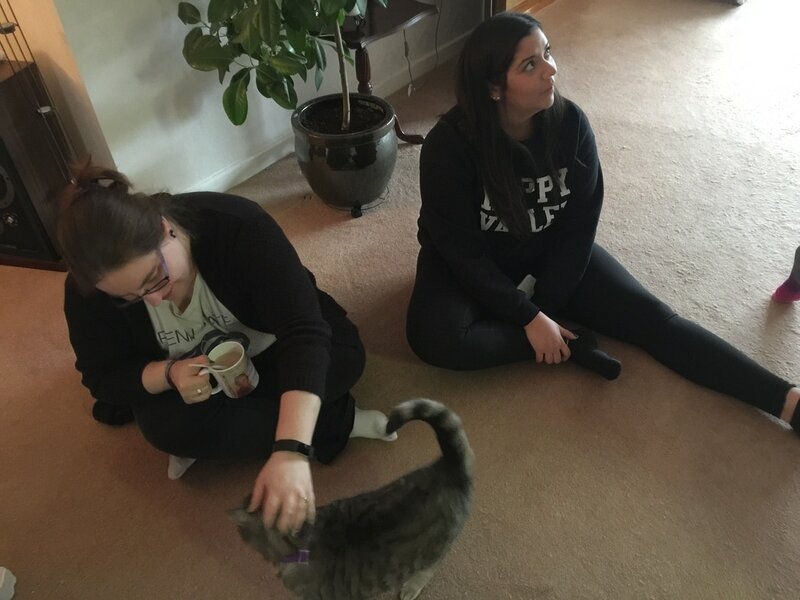 ​We were invited into Dr. Ronni Greenwood’s graduate psychology class to meet with the students face-to-face. (The psychology students in Dr. Livert’s class had been corresponding with them through Yammer since the start of the semester.) 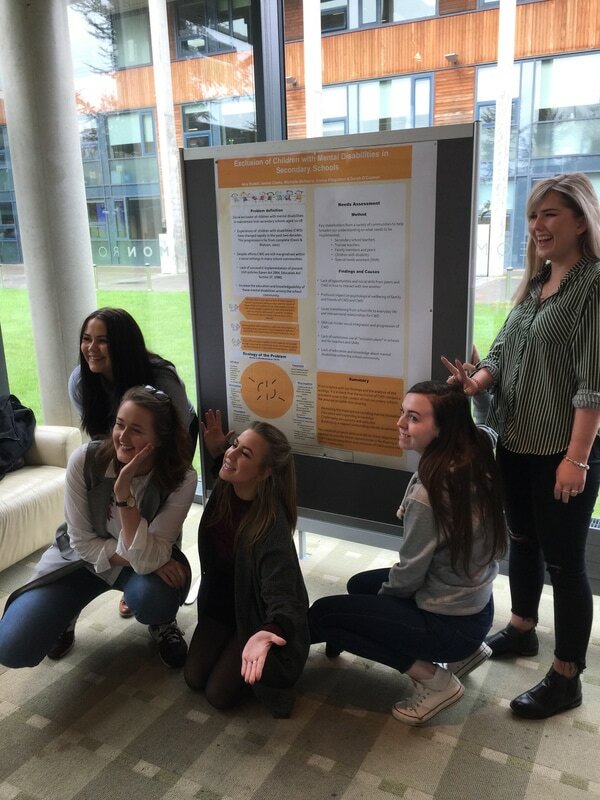 Together they will be presenting poster about their research on various community psychology topics at the “Building Bridges Between Backyards” Conference tomorrow (more on that in Tuesday’s blog). The students had a t-shirt exchange at the beginning which gave them a chance to meet and then introduce each other to the rest of the class. Dr. Greenwood and Dr. Livert than talked about Community Psychology and invited them to share their research project topics. ​The Health Policy and Administration (HPA) students on the trip (Kelli, Stacie, and Kelly) then went over and met with Mike O’Brien in the Management Development Unit of the Kemmy Business School. This Unit offers certificates and diplomas in Health Services Management, so we had a chance to interview Mike and the program assistance Breda Ahern about Ireland’s health care system. It was a fascinating discussion about health care for Irish citizens and the advantages and challenges of their universal health care program. Interestingly enough, the Unit is hosting representatives from the Penn State Smeal College of Business next week. ​We all got together for lunch at Eden’s, a restaurant on campus for students, faculty and the public. The thirty of us somewhat took over the restaurant but we had a great time socializing with the UL students and learning more about their culture. 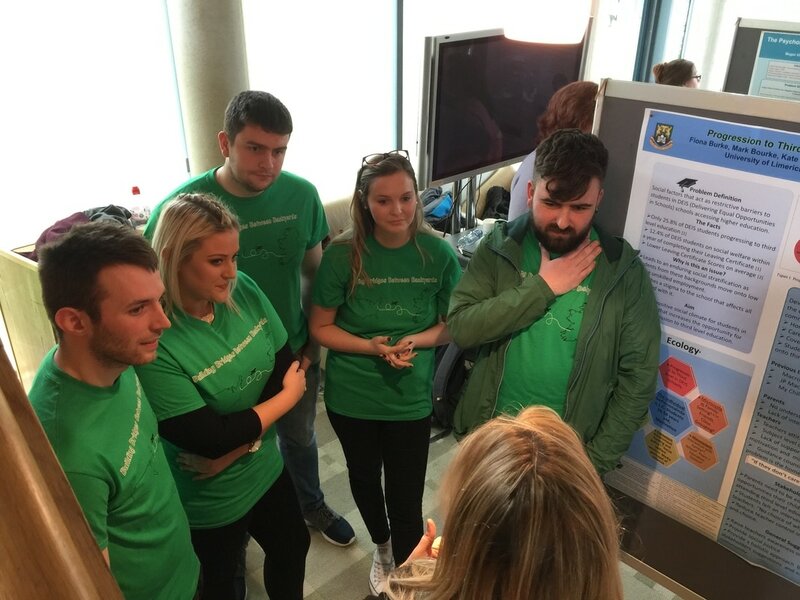 The UL students were amazed to learn about the cost of tuition for students in the United States and how that differs from higher education in Ireland which is subsidized by the government. We also learned a little more about the health care system through their perspectives of college students in that system. It was great conversation! ​After lunch, we took the bus to downtown Limerick to take a walking tour of the city with a guide, who serves as a part-time employee in the Hunt Museum. We were introduced to a lot of the history of Limerick, which dwarfed American history in comparison as far as scope and time. The earliest history before the Vikings in the 800s is undocumented, but since that time there have been a series of events that have profoundly shape what Ireland is today. ​Our first stop on the walking tour was on Thomond Bridge and the 1916 Memorial “dedicated to the memory of those who died in the struggle for Irish freedom.” We crossed the bridge and made a right onto Clancy Strand (named after George Clancy, Mayor of Limerick in 1921, who was killed by British forces for being an active nationalist). The street runs along the River Shannon, Ireland’s longest river. Here we saw “The Barracks,” a building used by the British Army during the 19th century. Free State troops from Ireland battled with this Army over a five day period in 1922 and you can still see the bullet holes in in the houses nearby. ​Also on this street is the famous “Treaty Stone,” which commemorates the treaties signed in 1691 by William III of England and his father-in-law King James II. Our guide offered us the medium length version of this history. Essentially this truce offered the army of King James II to receive reparations and the Catholics in Ireland were to be protected; unfortunately, the treaties were broken and the stone now serves as a symbol of this betrayal. ​About this time, we needed a little cheering up and low and behold along comes a friendly Irishman with a equally sociable chocolate lab puppy. We were all over the dog who seemed to quite enjoy the attention. ​From Clancy Strand, we crossed over the Sarsfield Bridge onto King’s Island, home to the famous St. Mary’s Cathedral and King John’s Castle, the big enchiladas of the walking tour. We were unable to go into St. Mary’s Cathedral but managed to get a group shot in front of the infamous front door. ​We spent the next hour touring inside King John’s Castle (KJC), learning about the history of Ireland and Limerick, and getting some spectacular views from the top. 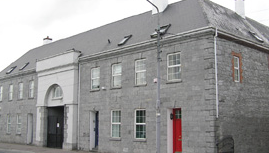 Built in the early 1200s, KJC has, as its brochure describes, “a dramatic 800 years of history,” which included (no surprise here) several sieges in the 1600s (in fact, Limerick is sometimes known as “The City of Seiges”).. It is here we learned the origins of the word “undermine,” which has to do with digging a tunnel under a castle wall in order to bring it down. The exhibit provides the story of this process and allows visitors to actually go underneath to see these tunnels. Fascinating! ​Our day ended with a double-decker bus ride back to the UL campus and then dinner at “The Stables,” an on-campus pub with great food. Tomorrow we have the Conference and a short time to see more of Limerick City before we head out to Dublin for the second leg of the trip. ​The Building Bridges Between Backyards Conference was held this morning at the University of Limerick. 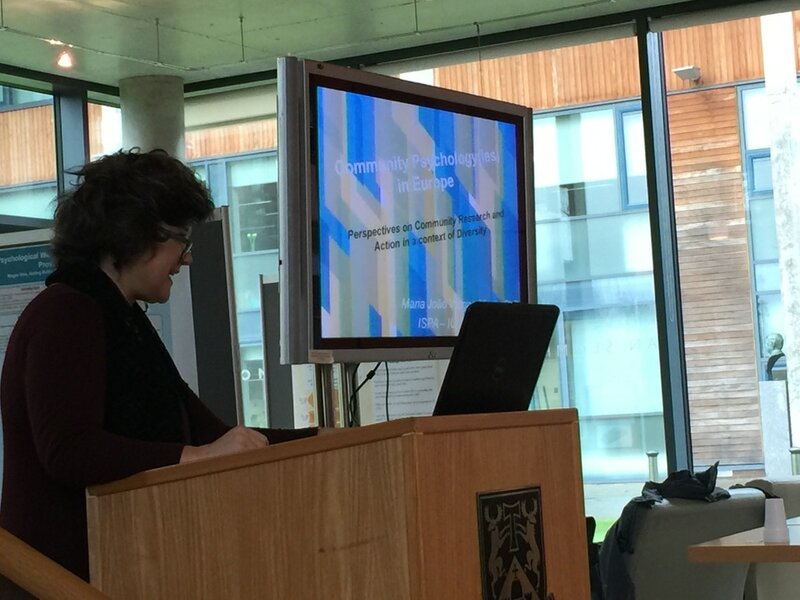 The keynote speech was given by Dr. Maria João Vargas-Moniz from the ISPA Intituto Universitário in Lisbon, Portugal. 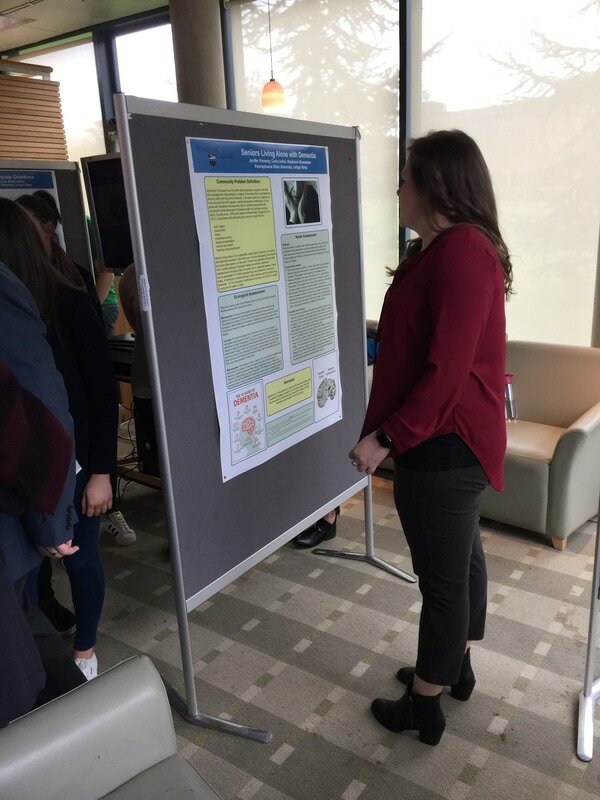 Her presentation, entitled “Community Psychology(ies) in Europe: Perspectives on Community Research and Action in a Context of Diversity,” provided participants with an overview of community psychology research. Dr. Vargas-Moniz has been a leading scholar in this field and has focused her recent research on homelessness. 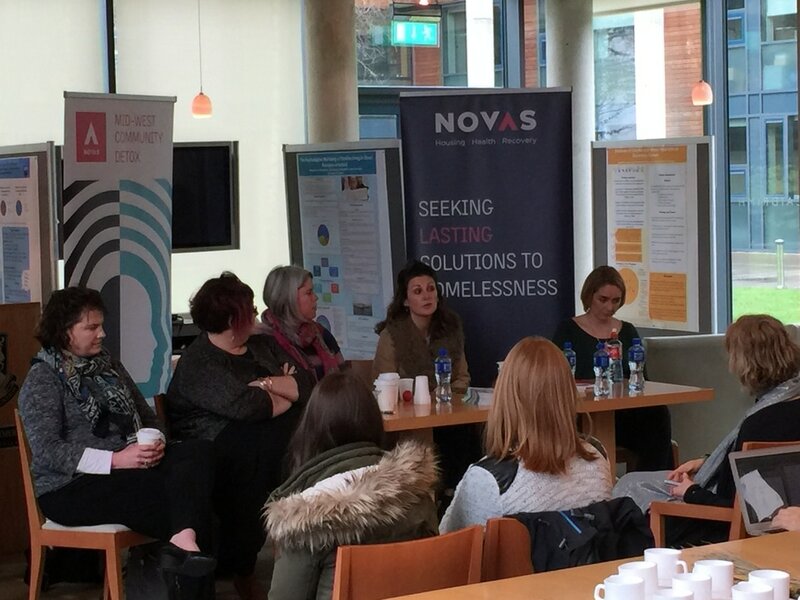 This provided a natural segue into the panel presentation that followed, which included representatives from an Irish organization called NOVAS. This community-based agency works with adults, families and children who are homeless or at risk of being so by providing a range of client-centered services focused on “Home First.” This needs-based approach to solving community problems has forever changed the way they interact with clients to address this chronic issue---and they have had tremendous success. 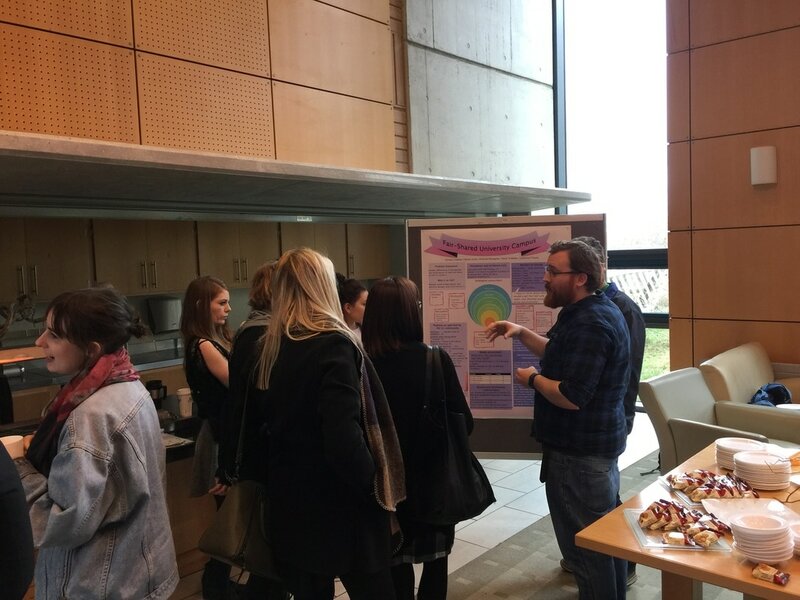 ​The last part of the conference was concentrated on the students’ community based research from Penn State Lehigh Valley and the University of Limerick (UL). 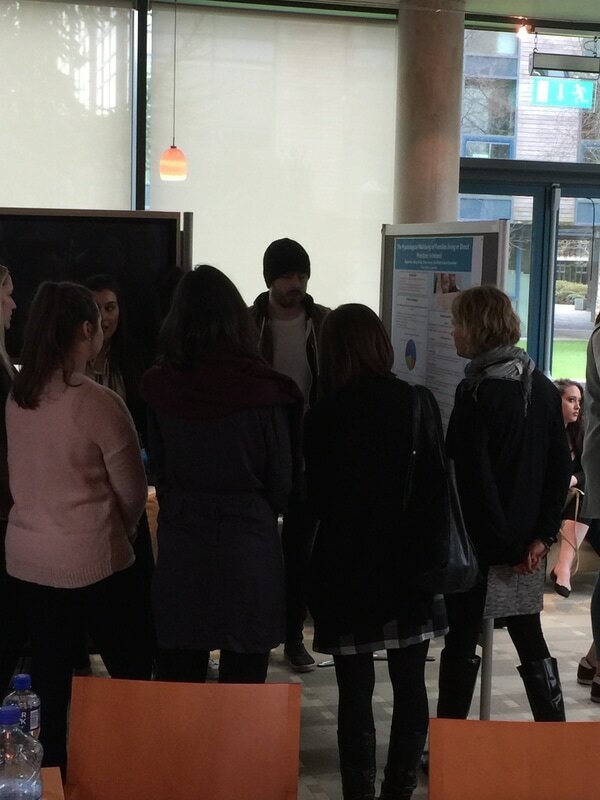 A variety of issues were presented including gender differences in perceptions and experiences of physical safety on the UL campus; the experiences of abuse, bullying and lack of acceptance of LGBT youth; social exclusion of children with mental disabilities in mainstream Irish secondary schools; seniors living alone with dementia; heroin and opiate addition in Pennsylvania; hunger and food insecurity; the psychological well-being of families living in direct provision in Ireland; and issues surrounding progression to third level education in Ireland of students in DEIS (Delivering Equal Opportunities in Schools) program. Tomorrow our PSLV group will wake up in Dublin, but we will never forget our time in Limerick with its iconic history, enchanting environment, and friendly people. We played tourists all day today in Dublin---what a great place! We began the morning with a walking tour with Tom, a PhD student in history at the University of Dublin. This was a fun-filled facts tour. We began at Trinity College, which Tom reminded us is the "enemy" since he goes to the University of Dublin. But given the history of Trinity, it may not be far from the truth to express that sentiment. Founded in 1592 under Queen Elizabeth I, it only allowed wealthy male landowners of the Anglican Church to attend. This excluded all Catholics and Presbyterians. When that was changed in the late 1800s to allow these excluded groups to attend (although they still had to be wealthy male landowners), the Catholic Church forbade its members from going to Trinity without getting permission from the Church. This decree was in place until 1970! ​​Trinity also has a muddled history with women, not allowing them entrance until 1904. The Provost at the time, George Salmon, fought to keep them out, stating that it would be over his dead body to allow women to enroll at Trinity. Salmon died in January 1904 and women were admitted shortly thereafter. Just goes to show you that some things come true. There are a number of famous graduates of Trinity---Oscar Wilde (The Picture of Dorian Gray), Jonathan Swift (Gulliver’s Travels) and Bram Stoker (Dracula). ​We walked from Trinity College across the street to the old Parliament building (heavily under construction). Here we learned that in 1801 the Irish Parliament (primarily Protestants) voted to dissolve itself. At that time, Ireland was under British rule and a number of Irish rebellions (by Catholics, primarily) and the Parliament feared another uprising might be detrimental to them. It is the only parliament to abolish itself. The building now is a bank. ​​From the Parliament building, we made our way around the corner and into Temple Bar---an area noted for its pubs and nightlife. It was rather quiet at 9:30 am this morning, but one can imagine what happens after dark. Tom took us to the Bloom Hotel building, which has an incredible mural of Leopold Bloom and Buck Mulligan from James Joyce’s novel, Ulysses. Joyce graduated from the University of Dublin, which might explain Tom’s reverence for him! ​We then walked over to the Dublin Castle, which the guidebook calls “more hotchpotch palace than medieval castle." The Record Tower is the only surviving edifice from the castle dating from the early 1200s. Next to that tower is the Chapel Royal, which is decorated with sculptured heads of various Irish people, including Jonathan Swift. Tom told us Swift would have been none too happy to have his visage on anything, as he was a bit of a curmudgeon. The story goes that he used to write obituaries about people and send them to them before they died. Ouch. ​​We walked inside the upper yard of the castle, which is surrounded by state apartments on one side, and the green domed Bedford Tower and Figure of Justice on the other. The Figure of Justice has an interesting folklore, as the statue was not necessarily seen as a nice house-warming present by the Dubliners. The Statue is without a blindfold looking down upon the Upper Yard but turning her back toward the city. ​We left the castle grounds and made our way over to the Fishamble Street, which is famous because Handel first performed his Messiah in the now demolished Neal’s Music Hall there, circa 1742. The work is now performed annually in Dublin on the same spot. ​​We walked back to where we started and went into the Trinity College Library that houses the infamous Book of Kells, produced early in the 800s by unidentified monks. According to the brochure we received, the Book of Kells “contains lavishly decorated copy, in Latin, of the four gospels." It was neat to see such an old manuscript preserved in this library. After viewing the manuscript, we got a chance to go up into the old library that was constructed in the 1800s. ​We spent the rest of the afternoon in various pursuits based on personal interests. It was fun to walk the streets of Dublin and see the many shops, eateries, and places of historical interest. Tomorrow we get up bright and early to tour Newgrange, a prehistoric monument in County Meath. ​Today was a travel tourist day. We got up early (a theme on the trip) and rode a passenger van about an hour and a half north of Dublin to Brú na Bóinne (the palace of the Boyne), “one of the world’s most important archaeological sites.” It is actually a World Heritage Site which has prehistoric passage tombs built about 5,000 years ago—before the pyramids in Egypt and before Stonehenge. ​. The amazing thing is that Newgrange wasn’t excavated until 1962—and even then it was until 1975 when everything was reconstructed. ​Our guide took us up to the entrance of the tomb and described the surroundings. 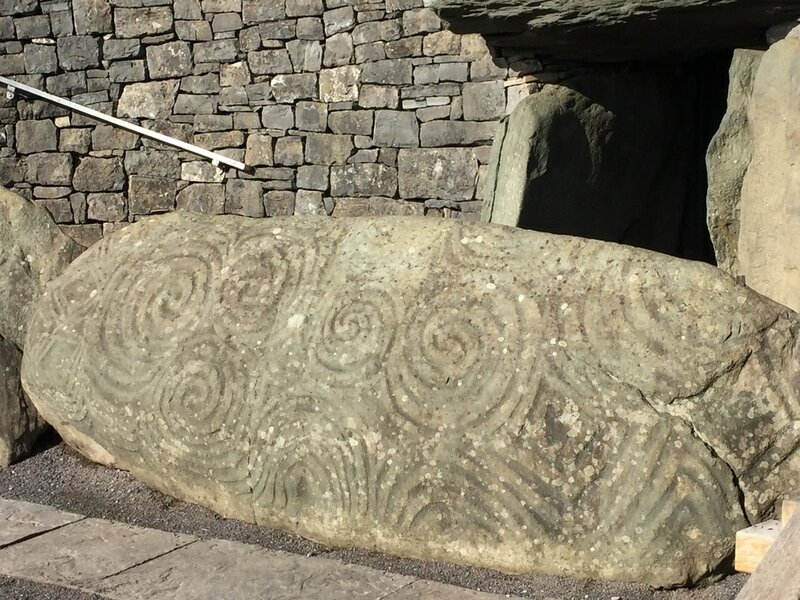 The Entrance Stone is about 10 feet long and 4 feet high and has Megalithic Art carvings, which is just large stones used as an artistic medium. In this case, there were circles and spirals as well as diamond-like shapes on the front of the rock. O’Kelly, who led the excavation. We were then led into the tomb through a narrow passageway that eventually led to an opening in the shape of a cross. Our guide introduced us to the various rock formations and stories about the tomb and at one point turned out the lights so we were standing in complete darkness. Not for the faint of heart or those with claustrophobia. We stayed in the tomb for about fifteen minutes before going back out into the sunlight. It was a welcome sight! 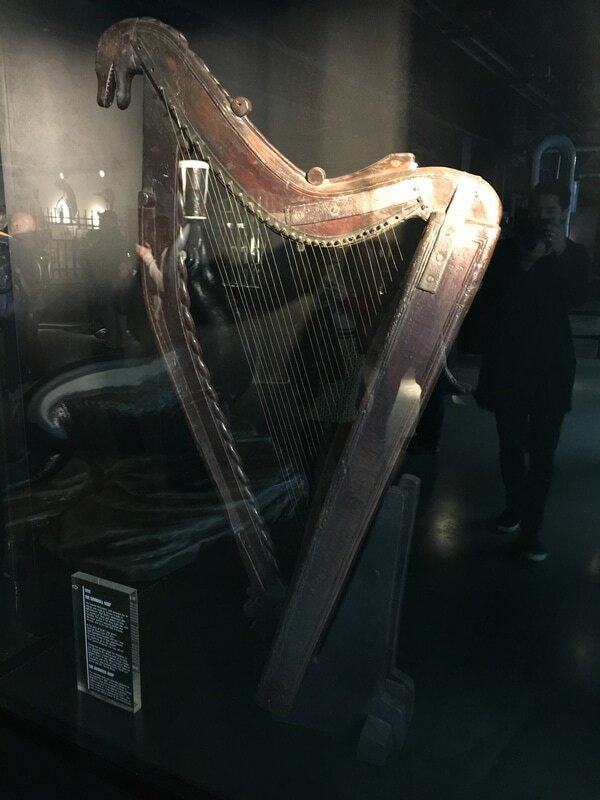 ​After our visit to Newgrange, we headed to the Guinness Storehouse, a seven story warehouse building that is part museum, part chotchkie shop, with food and drinks. 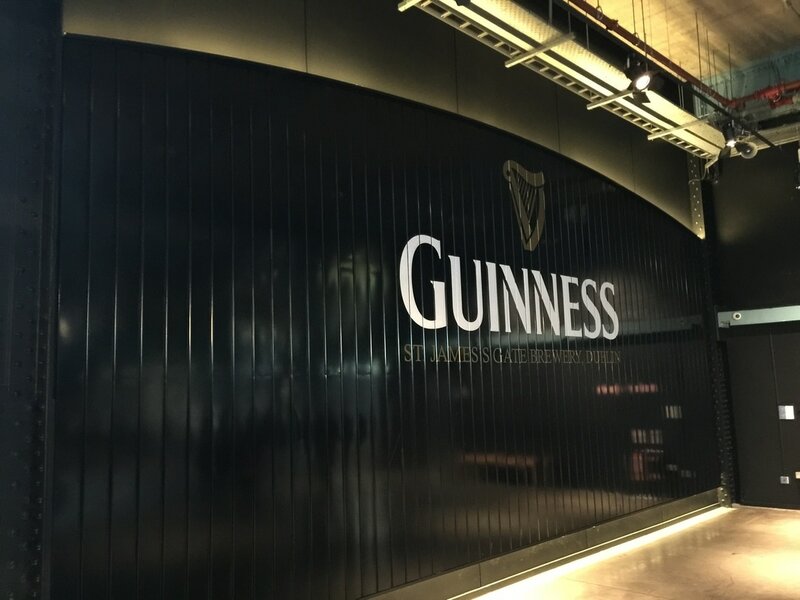 Started by Arthur Guinness in 1759, the Guinness brewery has grown to be one of the most recognized beers in the world. The company will never have trouble paying the rent on this building, as Arthur was smart enough to take out a 9,000 year (yep, three zeroes) on the building for a mere 45 pounds a year. Very shrewd. We spent about an hour in the storehouse learning about the history of Arthur Guinness (he and his wife had 21 children, although only 10 lived to adulthood! ), the brewing process, and being showed how to sip Guinness. There was even a floor devoted to how to pour Guinness if you wanted to learn. On the 7th floor was the bar area where you could get a pint of Guinness and look out over a panoramic view of Dublin. It is rumored that there are around 10 million Guinness pints produced on a daily basis here in Dublin. No wonder Dublin translated from Gaelic mean "Black Pool." 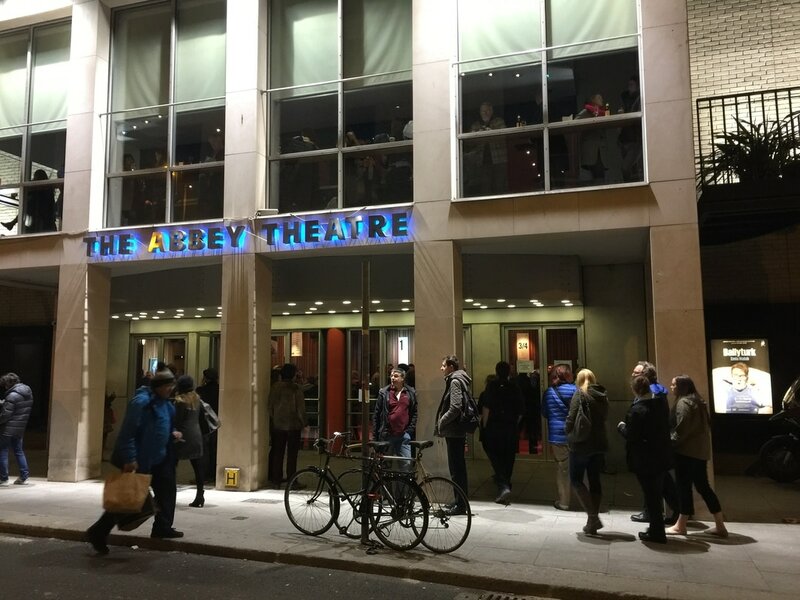 After our tour, we walked back to the hotel for a short respite before we went to the Abbey Theatre to see the play, Ballyturk. You will need to Google the play to try and understand it; suffice it to say that many left the theatre asking "What was that about?" We left the theatre and walked back to the hotel after grabbing some food. It was our last night in Dublin before we returned to Shannon for our flight home. This was our last full day in Dublin and many of us spent it touring and shopping in the city. (The HPA students had to work, as they had an interview at a local non-profit to discuss the Irish health care system.) It was good to just walk around the city and visit some of the places we did not get to see on our tours. The city of Dublin is roughly 44 square miles, and many of us felt we walked that far over the last three days. Tonight we head back to a hotel by the Shannon Airport so that we can catch our early flight in the morning. Overall, it has been an educational, engaging and enchanting trip to the Emerald Isle--and one we will remember for a very long time to come.